In the royal battle of Fortnite, 100 players fight each other on a giant map. To win, you need to build and destroy, as well as participate in PvP battles. 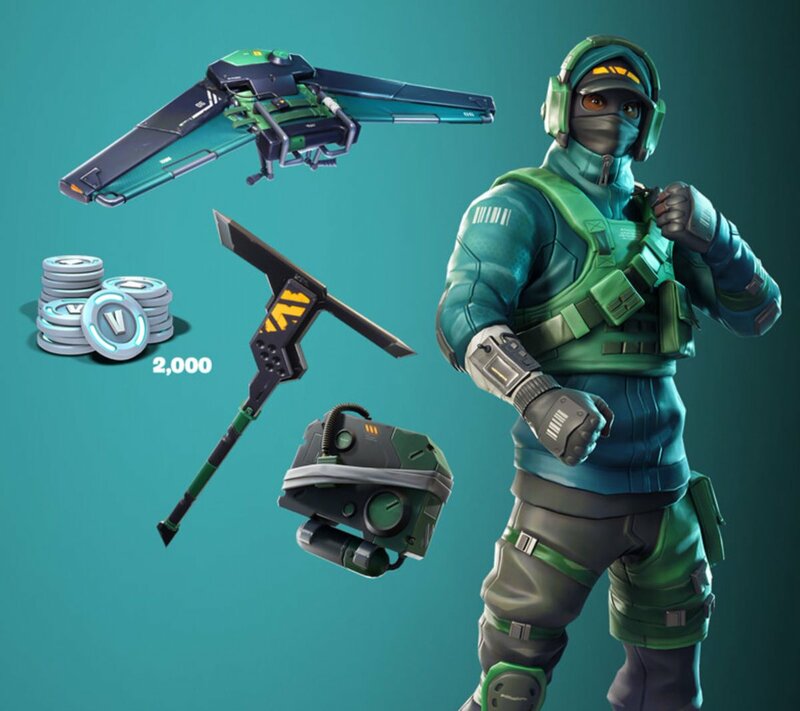 The GeForce Fortnite game set includes: Rare Reflex Outfit, Rare Pivot Hang Glider, Unusual Angular Ax Pickax, Backpack Response Unit, 2000 B-Bucks. B-Bucks is an in-game currency that can be used in the royal battle mode and in the Save the World campaign. . In the royal battle mode, you can purchase new items for your hero, hang glider or pickaxe. 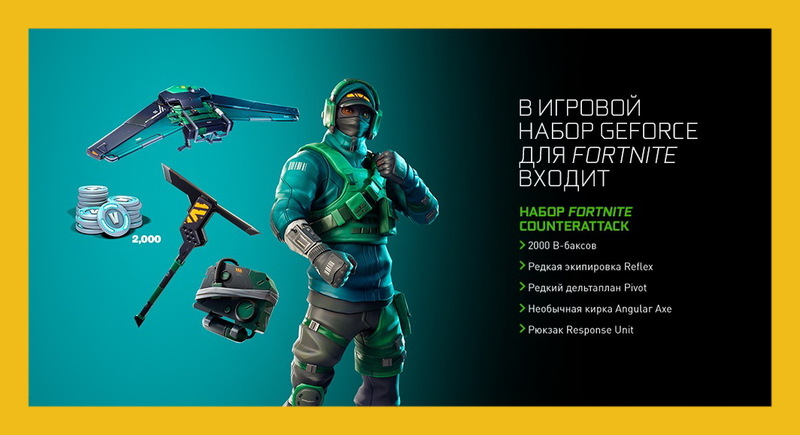 In the "Save the World" mode, you can purchase sets of lam-pininas with weapons and other items, as well as with new heroes! Note: Items are not transferred from the royal battle mode to the Save the World campaign and vice versa. Key activation in your Nvidia account is possible ONLY for GeForce 1070 Ti, 1070, 1060, 1050 Ti, 1050 video cards! Since the keys are promotional and received from the owners of GeForce video cards, the seller guarantees 100% operability of the key only at the time of its transfer to the buyer! For further fate (activation after some long time, transfer of the key to third parties, etc.) the seller is not responsible! ** All claims about the failure of the keys are accepted only with a video confirmation from the date of purchase of the key, until its unsuccessful activation. Other claims will not be considered! 1. Log into your Nvidia account using the GeForce Experience application, you can download the application at https://www.nvidia.com/ru-ru/geforce/geforce-experience (key activation is possible only from a PC).